David Birnbaum / Rare 1 and affiliates maintain original source supply lines, cutting facilities and design consultants worldwide. The first has established an international reputation for the finest quality and value. It is an important supplier to fine jewelry stores around the world and is a major resource of many of the great gem distributors of Europe and Asia." Only a select clientele is aware of a unique jewelry atelier in the heart of Manhattan. David Birnbaum / Rare 1 provides the solicitous personal attention and exquisite quality of an Old World European atelier enhanced by state-of-the-art American high-technology. This Jewelry salon, headed by internationally recognized private jeweler and gem authority David Birnbaum, is one of the only salons specializing in connoisseur’s gemstones, pearls, and jewelry. The salon features an extraordinary selection in three major areas: Diamonds, Pearls, and Major Color Gems (Rubies, Emeralds, and Sapphires). The atelier’s selection is focused at the very top end of the quality range. 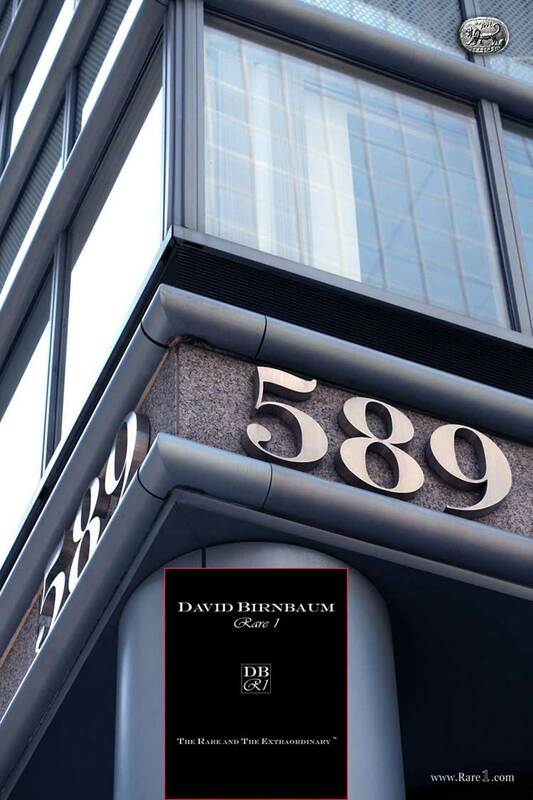 And as a Private Jeweler, David Birnbaum is committed to consistently offering excellent value to this clientele. The firm is considered “the connoisseur’s choice.” David Birnbaum / Rare 1 is renowned for its connoisseur’s colors and shapes. Connoisseur’s color diamonds, color gems, and pearls are offered at the firm’s private showrooms. “Rare White” and “Canary” color diamonds; Vivid and Fancy Intense Blue and Pink diamonds. Red, purple and green diamonds. Extraordinary Ruby, Emerald, and Sapphire gems in magnificent colors and hues. White, Pinkish, Black, Grey, Golden, and Crème Rose color pearls. All within the context of superlative quality and value. The Private Jeweler firm of David Birnbaum / Rare 1 is known among cognoscenti worldwide for its commitment to quality and excellence.